The Export Ale pours a cloudy medium yellow fizzy haze and settles into yellow clear body with a lot of activity. The white fizzy head is average in size but quickly diminishes without leaving anything behind. Even the best trackers would have a hard time picking up the trail. Immediately, the nose is pleased by the strong buttery aroma, which was expected, with malt notes and hints of sugar cookies. We were pleased that the aroma was stronger than a typical light beer. The moderately sweet initial tasted was followed by a light bitter finish for a longer duration. The festive carbonation didn&apos;t mask the sweet overtones. 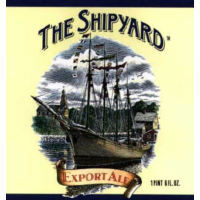 The Export Ale leaves the palate feeling creamy while asking for more. Reviewed on May 19th, 2007.